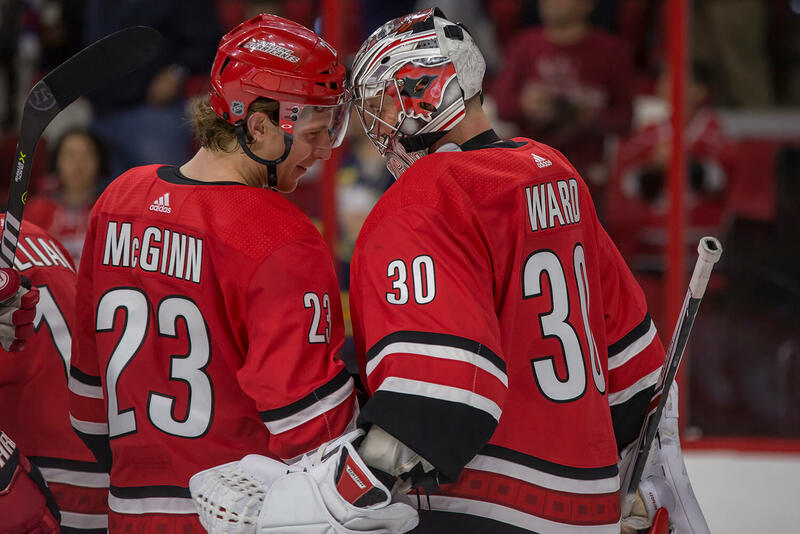 BROCK MCGINN (23) and CAM WARD (30) congratulate each other after a solid win against the Buffalo Sabres at PNC Arena. The Hurricanes beat the Sabres 4-2. 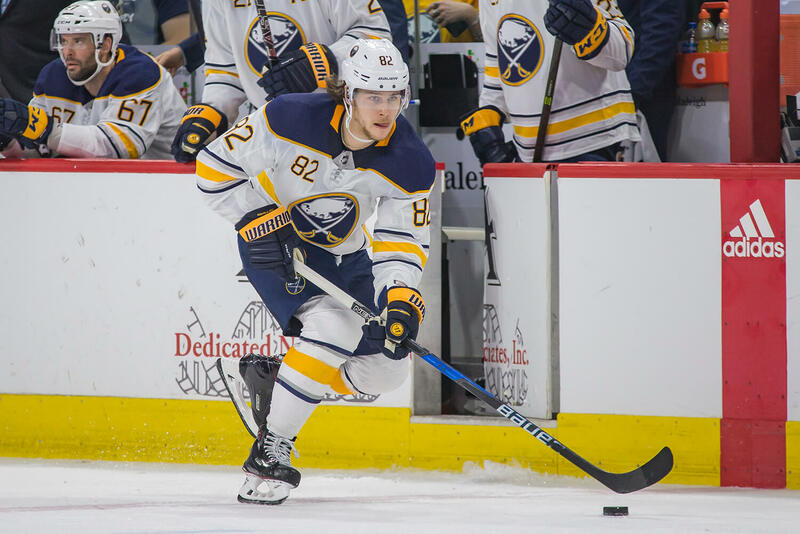 Sabres defenseman, NATHAN BEAULIEU, skates the puck up the boards during a game against the Carolina Hurricanes. The Hurricanes beat the Sabres 4-2. 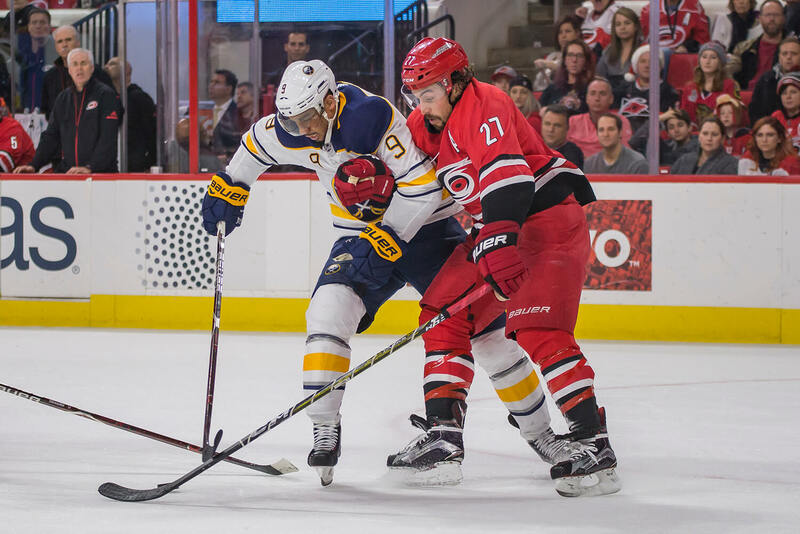 Sabres forward EVANDER KANE (9) and Hurricanes defenseman JUSTIN FAULK (27) battle for a puck during the third period of a game at PNC Arena. The Hurricanes beat the Sabres 4-2. 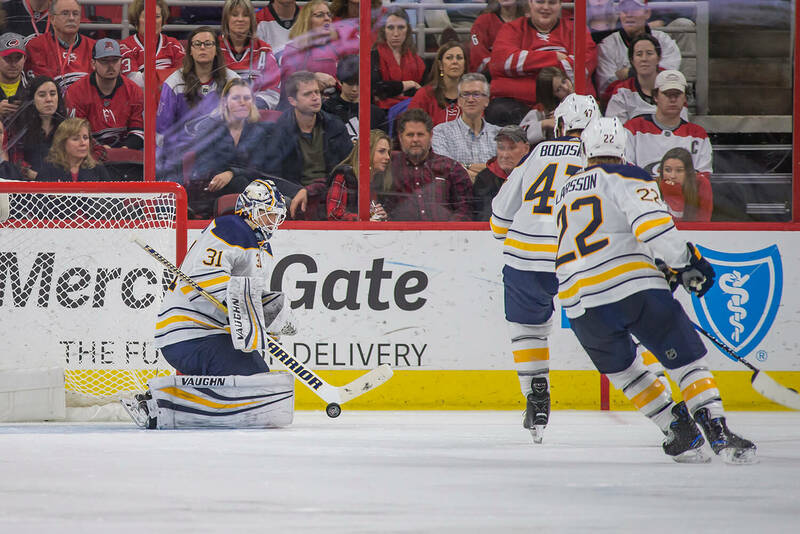 Buffalo Sabres goaltender, CHAD JOHNSON (31), faces a shot during a game against the Carolina Hurricanes at PNC Arena. The Hurricanes beat the Sabres 4-2. 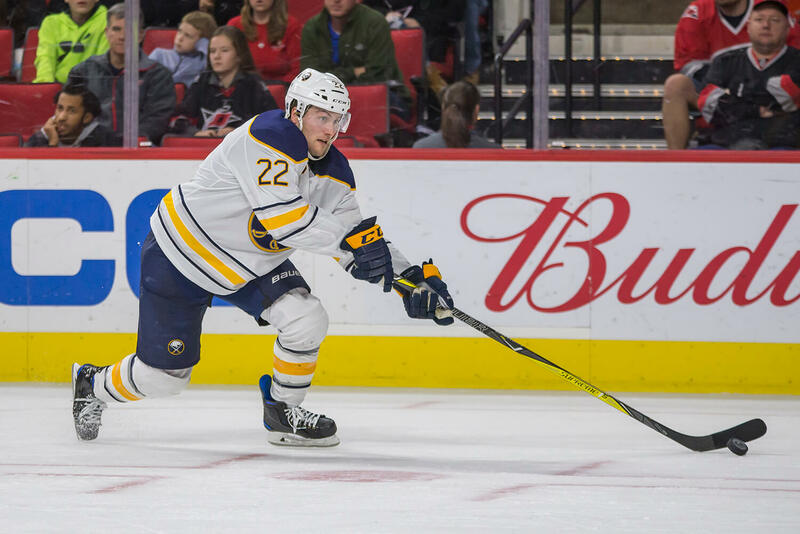 Buffalo Sabres forward, JOHAN LARSSON (22), gets ready to take a shot on goal during a game against the Carolina Hurricanes. The Hurricanes beat the Sabres 4-2. 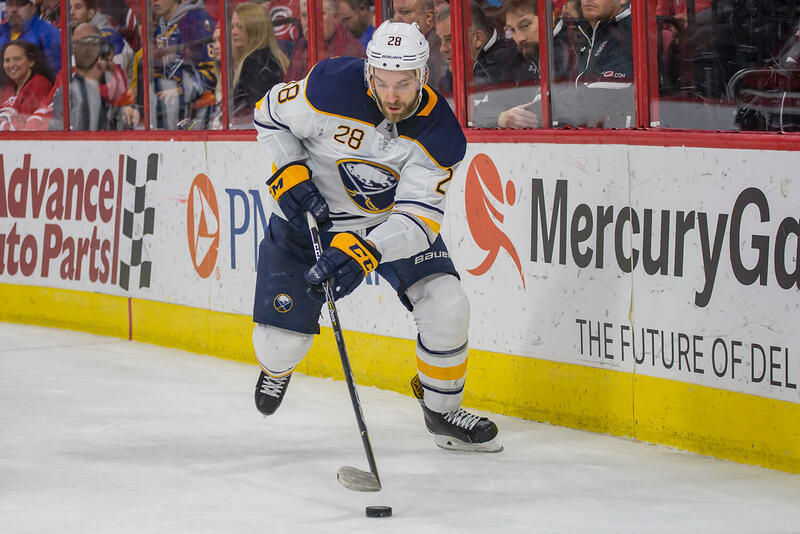 Buffalo Sabres forward, ZEMGUS GIRGENSONS (28), skates the puck behind the net during a game against the Carolina Hurricanes at PNC Arena. The Hurricanes beat the Sabres 4-2. 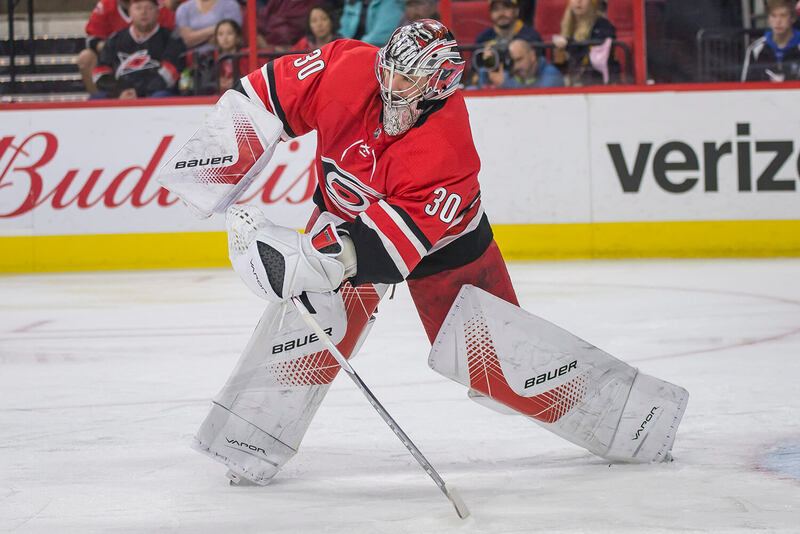 CAM WARD (30) slides across the crease while following the puck during a game against the Carolina Hurricanes and Buffalo Sabres at PNC Arena. The Hurricanes beat the Sabres 4-2. 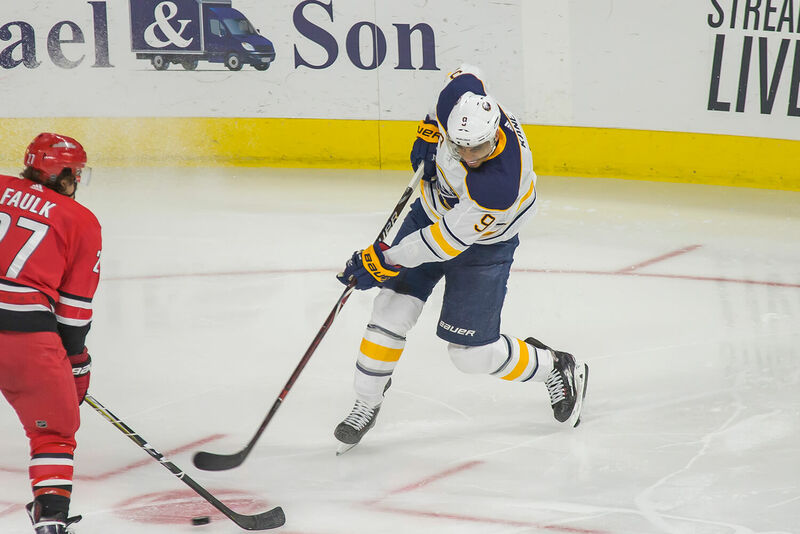 ZACH BOGOSIAN (47) of the Buffalo Sabres, plays the puck during a game against the Carolina Hurricanes. The Hurricanes beat the Sabres 4-2. 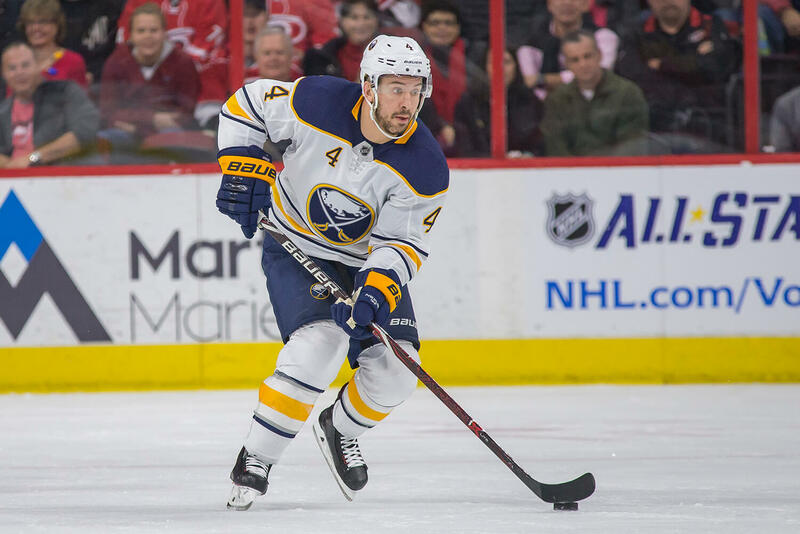 Buffalo Sabres defenseman, JOSH GORGES (4), skates the puck up against the Carolina Hurricanes. The Hurricanes beat the Sabres 4-2. 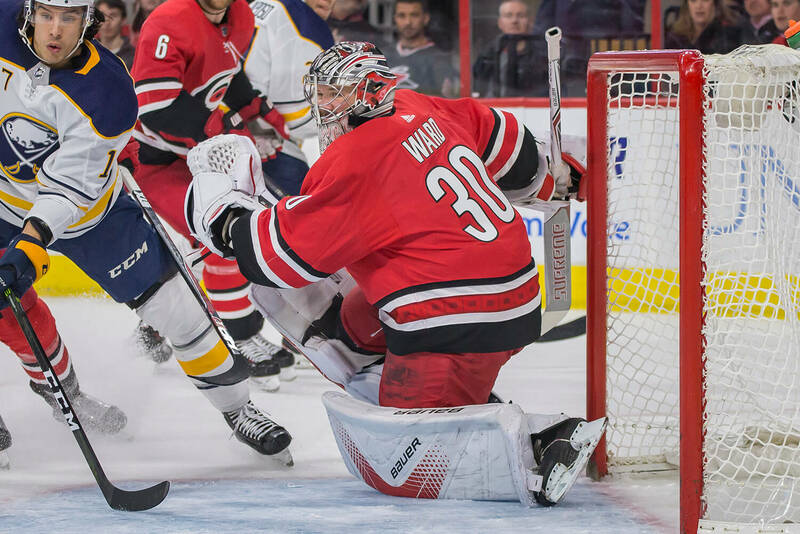 Carolina Hurricanes goaltender, CAM WARD (30), plays the puck against the Buffalo Sabres. The Hurricanes beat the Sabres 4-2. 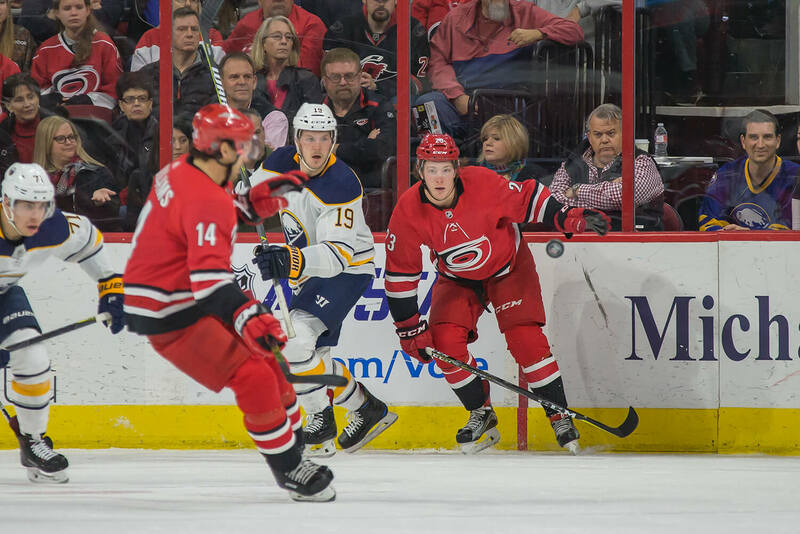 SEBASTIAN AHO (20) of the Carolina Hurricanes skates with the puck during a game against the Buffalo Sabres at PNC Arena. The Hurricanes beat the Sabres 4-2. 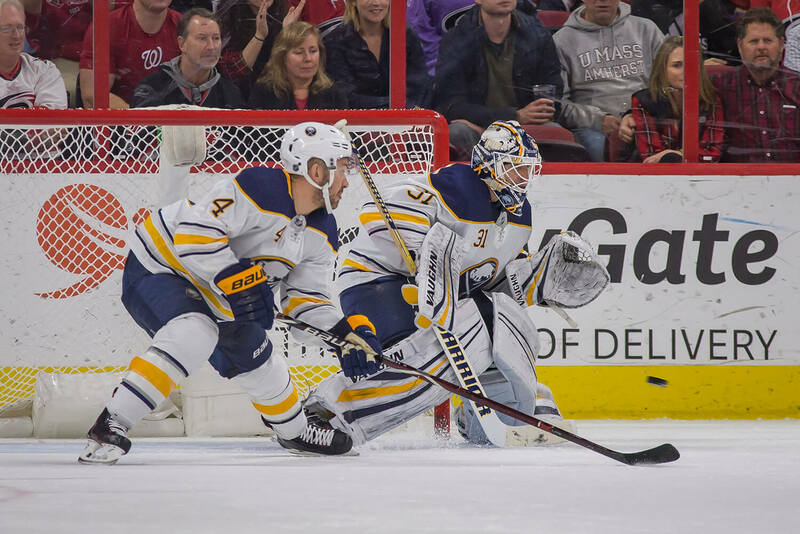 Buffalo Sabres goaltender CHAD JOHNSON (31) makes a save against the Carolina Hurricanes at PNC Arena. The Hurricanes beat the Sabres 4-2. 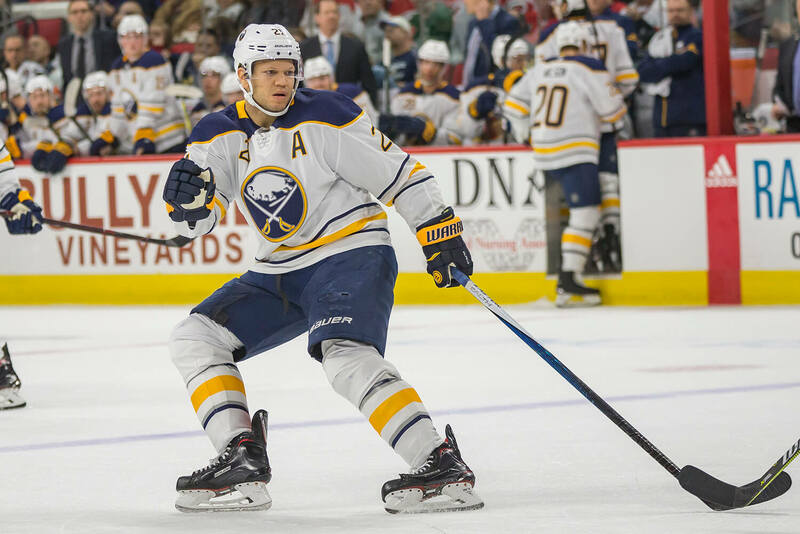 KYLE OKPOSO (21) skates from behind the net during a game between the Carolina Hurricanes and the Buffalo Sabres. The Hurricanes beat the Sabres 4-2. 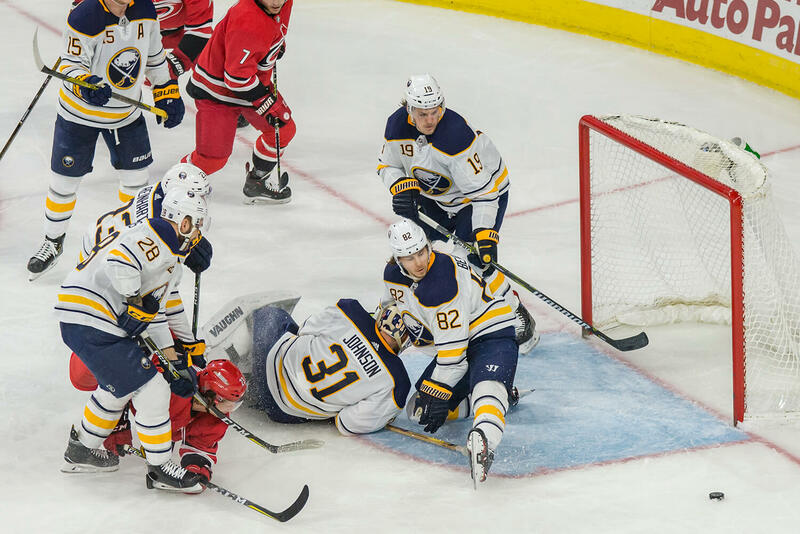 Sabres goaltender Chad Johnson (31) sprawls for a shot by the Carolina Hurricanes as it misses wide. The Hurricanes beat the Sabres 4-2. EVANDER KANE takes a shot against the Carolina Hurricanes in a game at PNC Arena. The Hurricanes beat the Sabres 4-2. 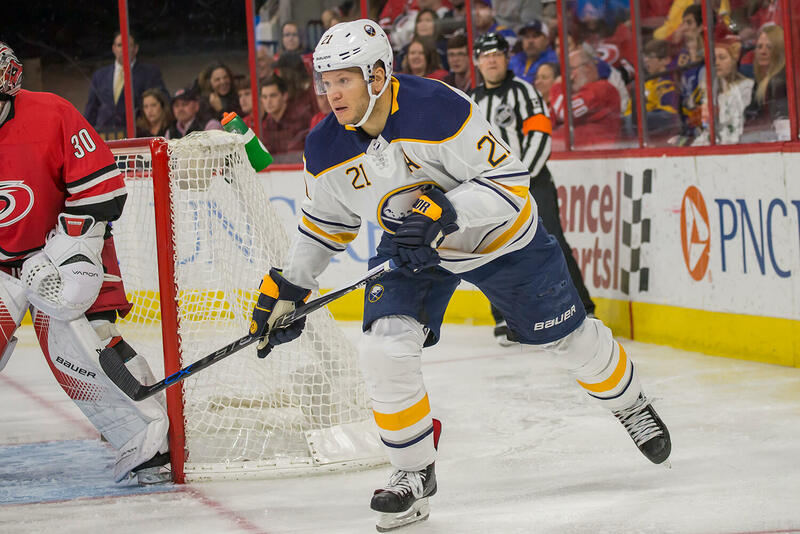 BROCK MCGINN (23) and JAKE MCCABE (19) watch the puck during a game between the Buffalo Sabres and Carolina Hurricanes at PNC Arena. The Hurricanes beat the Sabres 4-2. 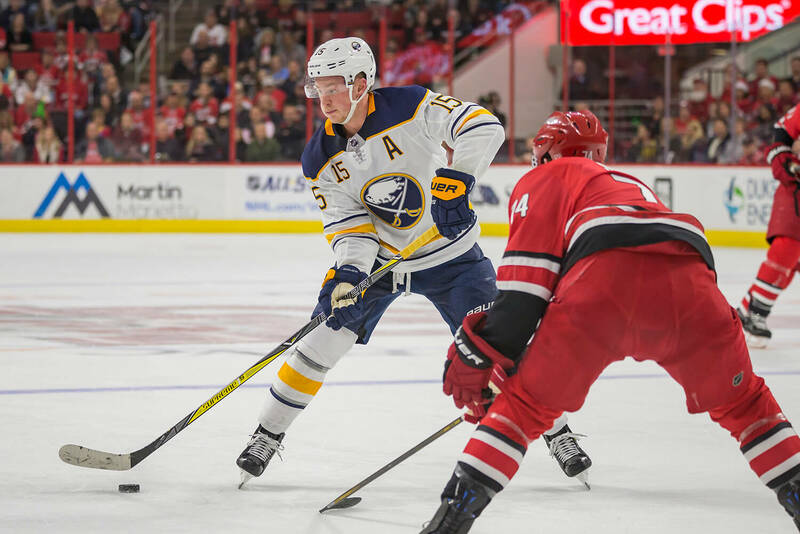 JACK EICHEL (15) skates the puck against the Carolina Hurricanes at PNC Arena. The Hurricanes beat the Sabres 4-2. 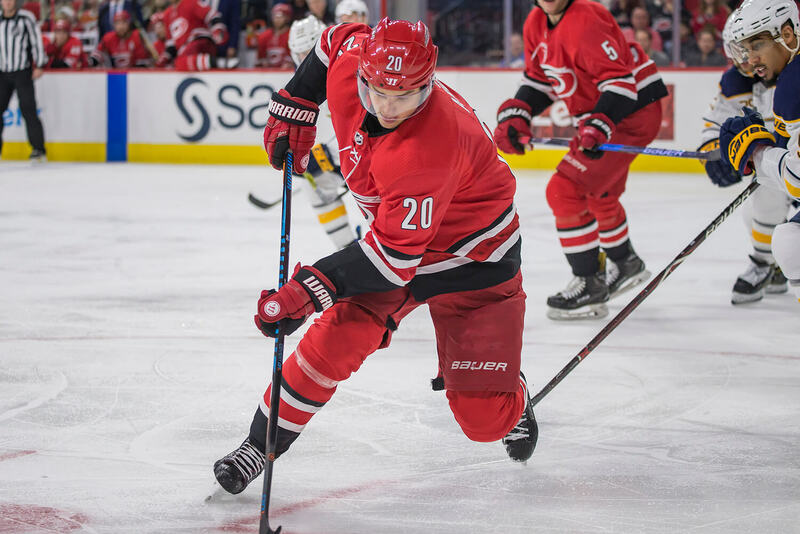 KYLE OKPOSO (21) transitions backwards during the first period of a game against the Carolina Hurricanes at PNC Arena. The Hurricanes beat the Sabres 4-2. 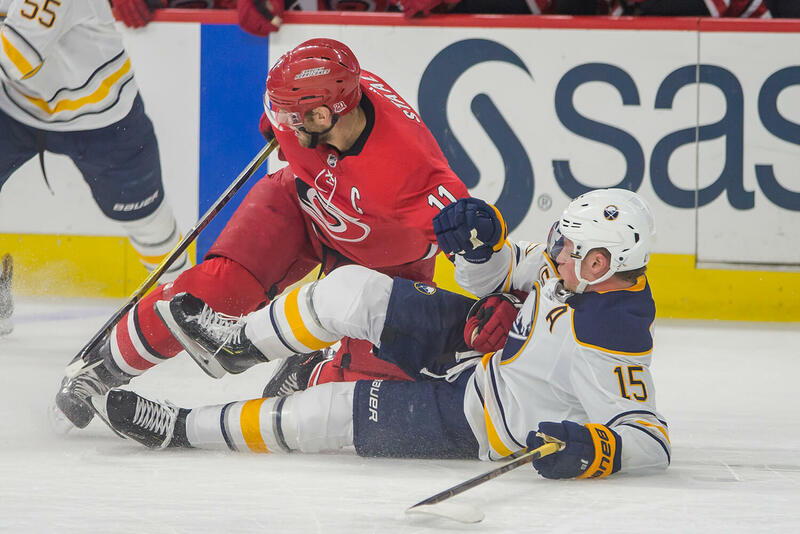 Carolina Hurricanes player JORDAN STAAL (11) and Buffalo Sabres player JACK EICHEL fall to the ice during a game at PNC Arena. The Hurricanes beat the Sabres 4-2. JACK EICHEL skates during a game against the Carolina Hurricanes at PNC Arena. The Hurricanes beat the Sabres 4-2. 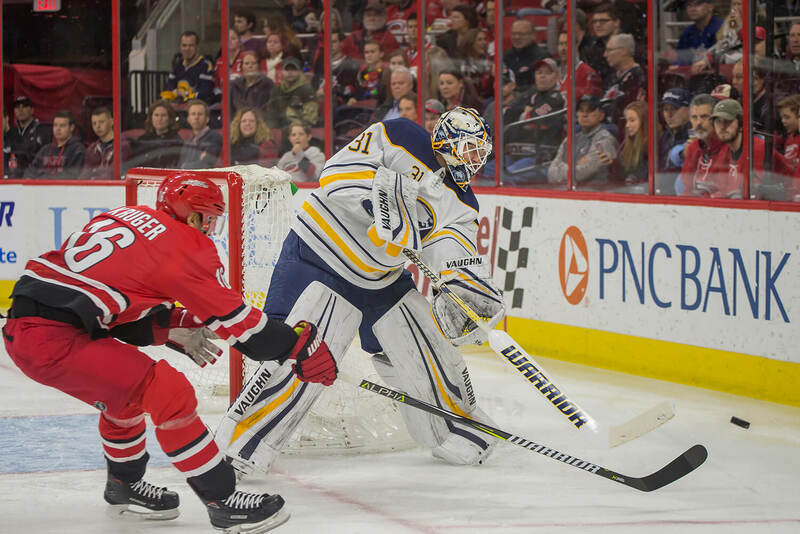 Buffalo Sabres goaltender, CHAD JOHNSON (31), plays the puck during the first period of a game against the Carolina Hurricanes. The Hurricanes beat the Sabres 4-2. 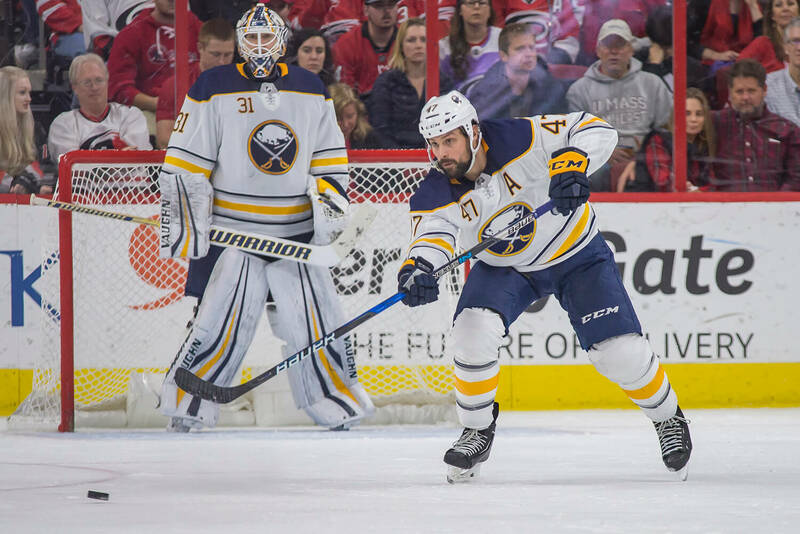 The Buffalo Sabres visited the Carolina Hurricanes with hopes of avoiding a season sweep, but fall short 4-2. 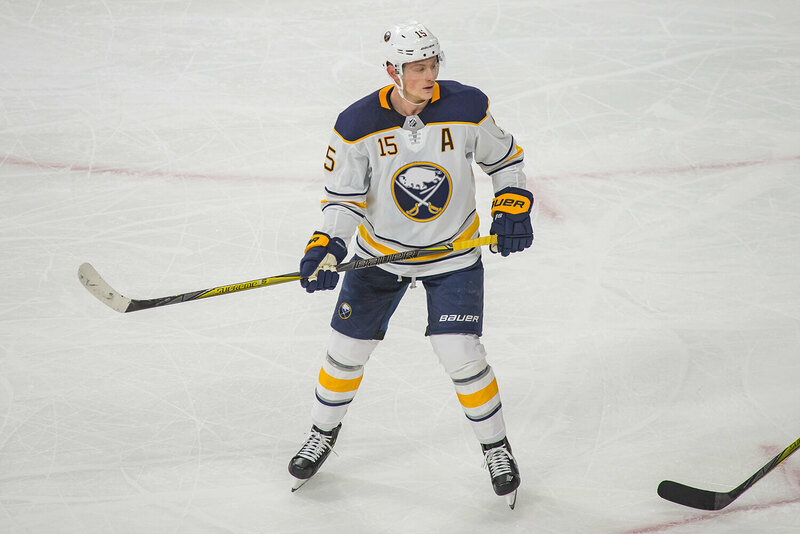 The Hurricanes also swept the Sabres during the 2016-2017 season, meaning Jack Eichel has never won against the Hurricanes.